This year is flying. It’s shooting by so quickly, can you believe it’s May already? Is that just me, or him thinking this? Anyone else, anyone? So, Emily’s 5 months. That’s crazy isn’t it? Well, more so for Sam and I, because people tell you, everyone tells you, that once you have a baby, that’s. Never will you sleep properly again, you’ll want to kill each 90% of the time, you’ll argue about things that are just ridiculous, you’ll forget what it was like before parenthood and time will slip away quicker than sand. Everyone who has had a child will tell you it, and unless you already have children you won’t believe it until you have a baby yourselves. And it’s true, the last bit mainly. We’ve luckily got over the sleep nightmares now that she sleeps all night, we’ve had our moments where we’ve wanted to kill each other and now we’re here, in bed, watching Salvage Hunters (his choice not mine), talking about how crazily quick the past few months has gone. 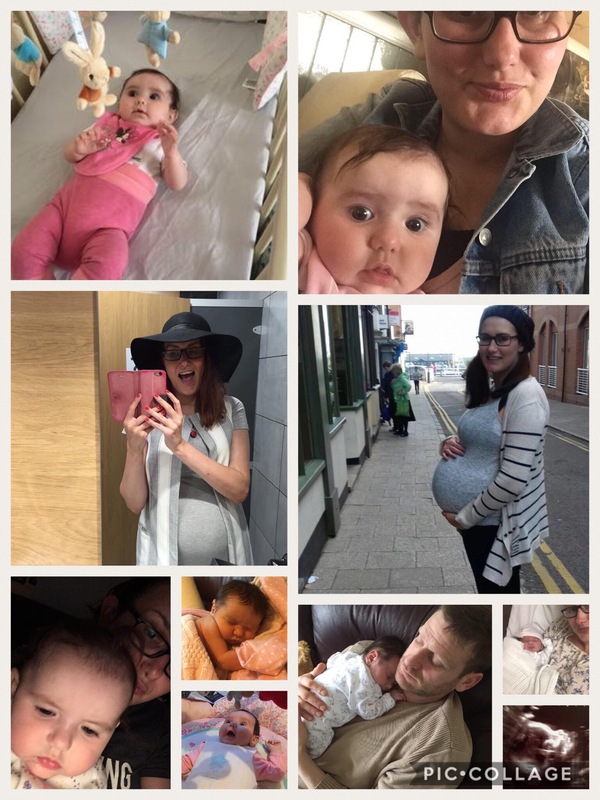 Emily has gone from being this tiny 6 pounder to a 15 pound squidge, who can hold her head up, has been stage 1 weaning for nearly a month, reacts to everything and has the cutest giggle, all of which can be switched off in a matter of seconds, on her cue and no one else’s. Why does time fly so quickly when we have children? I’m still amazed how quick the time has flown since my niece was born, but still some moments since then, some years have dragged more than others. She’ll be 6 this year, OMG! I even remember the day she came home from hospital clearly. It was Christmas Day and we all just stared at her, admiring how tiny she was and how peaceful she looked. That was the only day ever, that we all were quiet and if you know my family back in Isleworth, you’d know we’d love a good party. I often look at Emily at think, where has the time gone since her birth day. I even meet my friend Clare, who’s daughter is 7w younger than Emily and try and remember when Emily was that small. Was she ever that small? Of course she was, but months have gone by so quickly, I get worried sometimes that maybe, time is going a little too quickly, parents, do you know what I mean? When I was younger, as a child or even in my twenties, I always couldn’t wait for what life could bring, sometimes really wishing for it to go a little faster so that my summer holidays to swing round quicker, my birthday or most definitely Christmas, because Santa, duh! But now, here, this very moment, I look forward to Emily growing up, but I also want her to be tiny a little longer. So much happens in her little life and we as parents get to be part of it and it’s just wonderful, but I sort of don’t want her rushing into her tods, teens and then adulthood. In a couple of months, teeth will be popping through those pink gums, she might start crawling or just pull herself up and start walking. I take photo’s, daily and spend a lot of time just staring at her. I’m allowed to, I’m her mother, but I still look at her, her tiny little hands, that cute button nose, and just feel amazed that Sam and I (soppy moment coming up) are so lucky to have her. She makes everything seem so right, so perfect and we couldn’t imagine her life without her. 5 Months!? It’s crazy how it’s flown by… Can’t imagine how you must be feeling about it! Hey Nadia, how are you? Yeah, gone quick. Too quick! She’s so big now, has her own personality and everything. Crazy!